I could just tell you that we have kept its exceptional power with improved bar feeling. That the kite is more comfortable, with an up-range control feel yet unheard of. That maneuverability is ever more precise and jumping even easier with an impressive hang-time and flight capacity, as well as many more qualities depending on your riding style. Yet, what will strike you the most is this new feeling to be in direct connection with the kite, as if you could fly it directly from the tip of your hands. You feel precisely everything that you do and it all becomes a lot more accurate and easier. Just as if you were a pro-rider! The kite profile is stable; all parasitic movements have been eliminated and your bar feeling is clearer. physical to ride. The net result is that you have more control on your board to carve and edge. 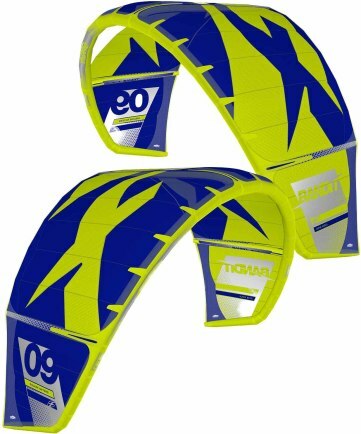 To get such significant improvements, we have upgraded our fabric to the double ripstop TECHNOFORCE™ from TEIJIN. This new material brings superior wearing strength and better control of the profiles in flight thanks to its added stability. Clearly, no stones were left unturned and with a rigorous design approach our new designer Robert GRAHAM has been able to further refine the characteristics of our Delta shape concept to achieve so many improvements and new qualities. A devoted and efficient testing team, notably including Mika FERNANDEZ, more than 80 prototypes with a new designer and a new fabric, complete redefining of the kite with ever deeper analysis and a LOT of passion… All these have been combined to offer you some truly new and unique riding sensations! We tested the new Bandit7 7m during our wave test. We liked the kite in its low-end, it's fast and playful. At its high end it was one of the first kites that became too strong. 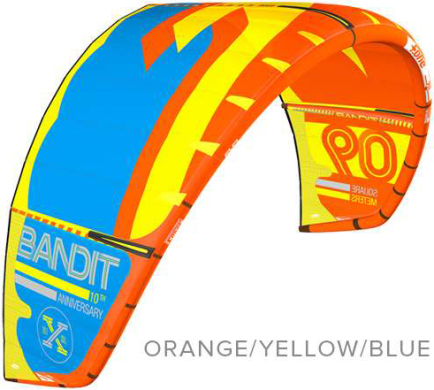 F-one made the Bandit7 as an Allround kite, because of its controllability, gradual power and great feedback the 7m is good fun in the waves! 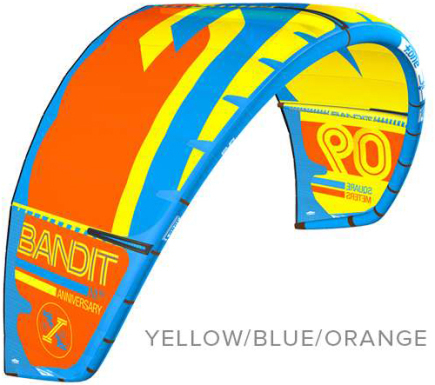 This high performance race kite is also usable for light winds and old school kite. 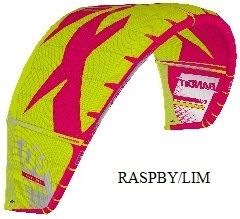 This kite is suitable for almost every kite stile from beginners to experts. Our kite school like to use this kite,because it's very handy and the water relaunch is almost automatic.It follows your progression from beginner to winner. 1 kite for life. We tested this 6m with and for kids in 10-15 knots. We were surprised. This is a small storm kite but also usable for kids (8-12 years) to learn & ride. 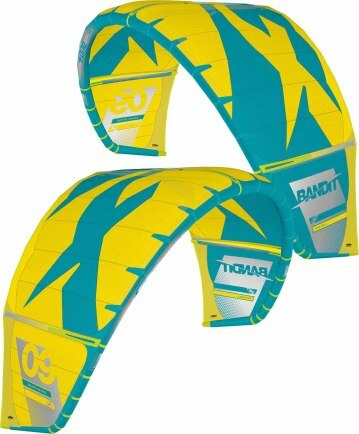 The Bandit6 was one of our favourite in the kids test. Good de-power, great stability in its low-end. The kids had enough kite pressure on the edge of the wind window to feel & control the kite. Light steering with a gradual power building. All great characteristics for children. 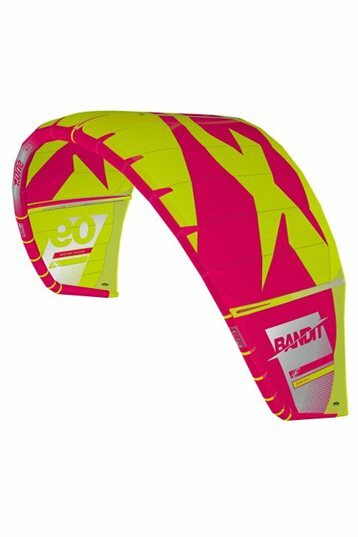 So the Bandit6 seems to be a great storm kite for Daddy, but also in its low-end a great kite for his children to learn the basics of kite surfing. The Bandit6 was one of our favorites in the kids test. Good de-power, great stability in its low-end. The kids had enough kite pressure on the edge of the wind window to feel & control the kite. Light steering with a gradual power building. All great characteristics for children. 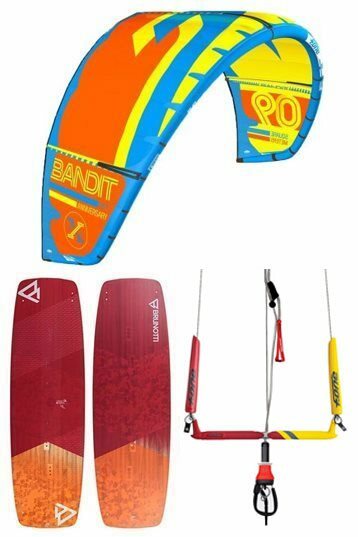 So the Bandit6 seems to be a great storm kite for Dad, but also in its low-end a great kite for his children to learn the basics of kite surfing. I have used all the bandits in the last 6 years, i have owned B2,B3,B4 in the past and still own some B5s. I have tested the kite and the new chicken loop/bar included and I'm very happy with it (it was about time f-one upgraded that velcro crap, it was spoiling a very good bar). The 9m is fantastic, and it comes with a super high end. I was in gusty Essaouira for one day and took the the kite for a test, only 5s and 7s in the water, I was just fine with the 9m in easily 30 knots. It deals great with the gusts and jumps higher than any previous models at least in size 9m (the 5s and 6s were superb as well). Unhooking is good, like 5s and 6s, but not as good as other dedicated C kites. Great lift, nice and smooth hang time, superb upwind. Handling is easy, bar pressure is low, feels good. What i don't like is the lack of a classic stopper ball in the f-one bar, still room for improvements there. I have previously owned every bandit since the dos so am more than qualified to comment on the new 2014. 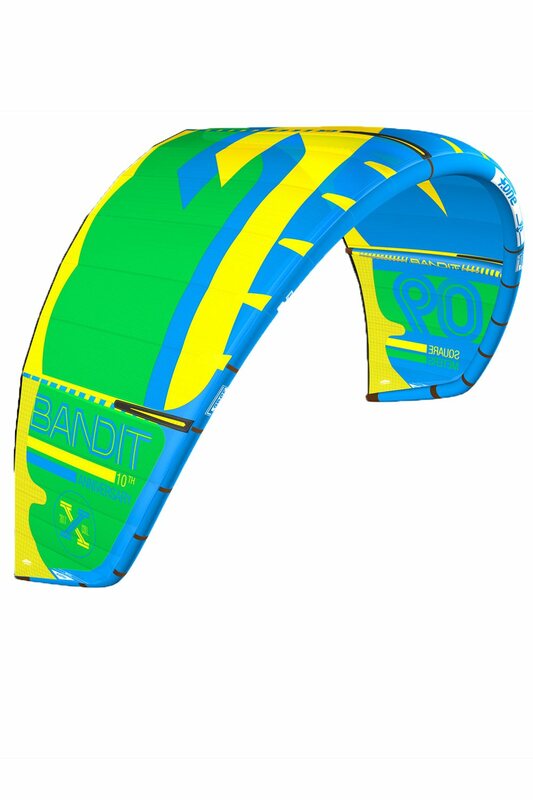 I have found this years bandit 7 compares poorly with last years model both the feel and predictability and in knowing where in the sky the kite is. The low end of the kite is particularly poor compared to last year as it seems to stall and is difficult to steer although this goes as the wind increases to 18 knots and the feel is regained. When jumping the 12 it is noticeable that the boost is lacking compared to previous models. The safely system still leave a lot to be desired and tangled and stuck more than once this should be sorted with the new system. B4 12M until I adjusted both steering lines and leading edge. They are super sensitive to the bar/line setup. Always fun to test the new Fone Bandit. This 7m has like its predecessors a depth center strut and steady round frame. This gives the Bandit his unique compact kite feel. Lots of grunt, low-end & bar pressure. The depower is total in a arm length. The canopy is what restless when depowered that makis it a little unstable if totally depowered. The Bandit7 reacts fast while it flies, if parked it has a little delay to react on a steering action. the kite responds really good and give's you a lot of feedback on the bar. downloops are controled because of the depower that the kite has. because of the quick reaction that the kite has while riding the waves it give's you the ability to ride powerfull. nice kite for the waves. I have tested the B7 compared to the B6 for a few days in a row in Mauritius at the F-one dealer meeting. First notice when you pump is, is that the kite has a new fabric: the Technoforce double ripstop fabric which is more stiff and stronger, secondly the onepump valves have moved further away from the fabric, so the fabric isn't damaged by the onepump valves. The new bar has a push away quickrelase which looks really clean and it's easy to reload after pushing it. As soon as the kite is in the air, you notice that is reacts faster than the B6. The actual turning speed is pretty similar, but the action-reaction time is shorter. On the water the kite feels really stable and the fabric flutters less when depowered, resulting in a kite that stays good at the edge of the wind window and doesn't dance back and forward. 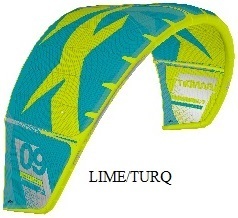 This makes the kite more relaxt to fly and gives you less pressure in your back and in the legs. When jumping, the B7 generates more upwards force and you get pulled less downwind. Hangtime is good and the kite puts you back on the water softly. Because you are being pulled forwards less, its easier to jump for average riders. In waves the B7 reacts super fast, which is nice and the difference between full power and fully depowered is big, so you can ,,turn off" the kite when you have the speed from the wave. Drifting downwind is good as well, I had no major front or backstalls. 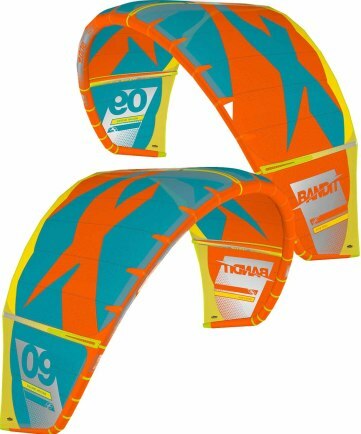 So all together F-one was able to really improve on their already loved B6 and created a super versatile allround kite.